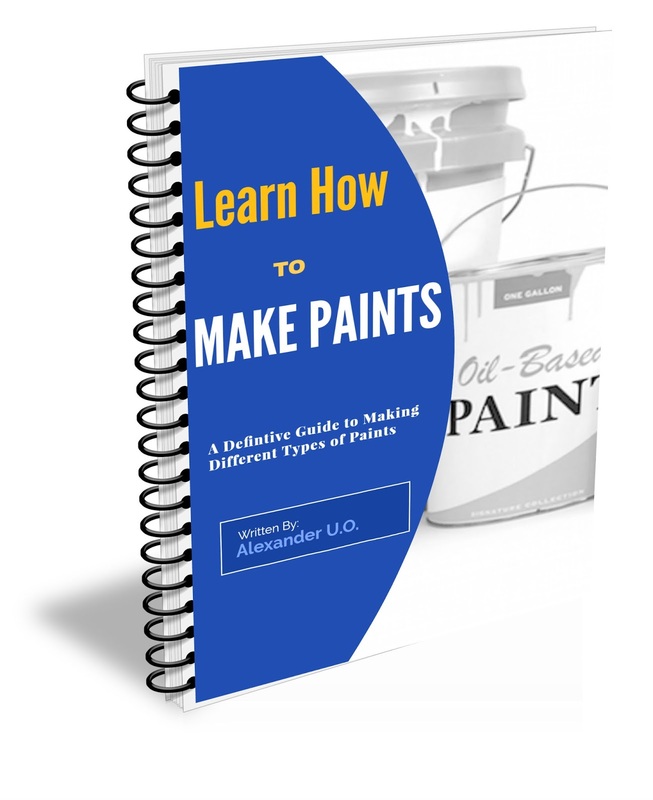 Before I talk about the step by step guide to paint making, let's have a general overview of paints. Here we will review the chemistry of paint and the different ingredients used in making paint. Learning about the chemistry first is very important so you will be able to understand the functions of the various chemicals in paints, and how to formulate your own paint making formula. Paints are one of the effective and permanent protection measures against corrosion and are widely used by corrosion engineers to prevent corrosion and other effects of weather on materials. Among the many ways to protect metals against corrosion, protection by painting is the easiest and the most important one as evidenced by the fact that nearly 80-90% of the metallic surfaces have been covered by the use of paintings for protection and aesthetic purposes. G.W. Walter has reviewed the mechanism of protection of metals by paints. The important constituents present in paint formulations and aspects of water-based paints are discussed. Paint may be regarded as a fluid material which when applied over a clean surface in the form of a thin layer, forms a solid, adherent and cohesive film on the surface. Paints generally consist of three major ingredients namely binder or film former, pigment and solvent often referred to as thinner or carrier agent. The relative proportions of these ingredients can be varied to produce films with any desired physical and application characteristics. A wide variety of resins depending on the application and functional requirement are used in paint industries. The resins are polymeric substances of high molecular weight made up of repeating molecular structural units, usually in the form of chains, with a terminating group at the end of the chain. The polymers used in the paint making industries have average molecular weights ranging from thousand to a several hundred thousand. Paint Making resins being polymeric materials can have any one of the structures such as linear, branched, cross-linked, homo or copolymers. The physical and chemical properties of the bulk polymer are largely dependent on constituents and the structure of the polymer chains, their molecular weight, and the nature of the intermolecular forces in them. In linear type, the polymers are the closed entities of molecular chains. Hence they are relatively free to slip past each other. Under the influence of applied stresses, they acquire increased mobility as with increased temperature, and they can be molecularly dispersed /dissolved in suitable solvents. Linear polymers are permanently and readily fusible and soluble in most solvents. They are described as thermoplastic in nature. polymers may be built up. In cross-linked polymers, the molecular chains are tied together, and the presence of many primary valence bonds reduce the mobility between chains. Such polymers are called thermosetting materials and are infusible and insoluble except by chemical attack or degradation. The degree of stiffness and associated properties exhibited by a cross-linked material will depend on the extent of the cross-linking. The cross-linking serve to limit chain slippage, permitting the material to exhibit rubbery or elastic properties. Such a material may swell markedly in certain solvents yet not dissolve in them. Another important polymer type is the copolymer which is a product formed by the polymerization of two or more different monomers. Each monomer imparts specific properties to the polymer. In the case of vinyl chloride and vinyl acetate copolymer, the vinyl chloride imparts hardness to the molecule, whereas the vinyl acetate imparts the flexibility and solubility. Copolymers are useful if tailor-made properties of the resins are required. This type of polymerization reaction occurs between molecules with the elimination of small molecules such as water. An example is the formation of polyester from ethylene glycol and adipic acid. Condensation polymers used in paint making are polyesters, alkyds, phenol-formaldehyde, urea-formaldehyde etc. There are four different methods of polymerization that are generally used. They are bulk, solution, emulsion and suspension methods. The monomer, which is insoluble in water, is emulsified with a surfactant. The polymerization proceeds very rapidly in the presence of an initiator, yielding a high molecular weight product in finely divided form. Excellent control of the process is possible and a very uniform polymer is obtained by this process. Because the polymer is obtained in the dispersed phase, there is no appreciable increase in the viscosity of the reaction mixture as the polymerization proceeds. This process may be used for addition polymerization. An example is the polymerization of styrene. In suspension polymerization, the monomer is dropped into water and polymerized. However, no emulsifying agent is used, and the monomer droplets are much larger than those in an emulsion polymerization. The mechanism of suspension polymerization is similar to that of the bulk method. A thickener is added to the water to keep the polymer beads in suspension. Polymerization of methyl methacrylate is an example of this type. “Resin can be defined as a natural or synthetic mixture of organic substances of higher molecular weight which when deposited, forms a suitable continuous adherent film”. Resins are a major component of paint, which decides most of the properties of the paint. This provides the necessary character for the paint whether it is a decorative or protective in nature. In other words, it is the type of resin used in a paint that will determine whether the paint is to be used for protective or decorative purposes. The resins can be classified into two types as, Natural resin and Synthetic resin. The main synthetic resin types are Acrylic, Alkyd, Epoxy and Polyurethane. Other resins of interest are Phenolics, Chlorinated rubber, Vinyls and Silicones etc. The term acrylic has come from those polymers containing acrylate and methacrylate esters in their structure along with certain other vinyl unsaturated compounds. These resins are some of the most versatile coatings used in the field and are known for their excellent properties of clarity, strength, chemical & weather resistance. Thermosetting acrylics are polymers containing a monomer backbone and are produced together with at least one monomer containing a reactive group. Thermoplastic acrylics allow cross-linking through heat or with a catalyst. Thermoplastic acrylics are prepared by the homo or copolymerization of a mixture of acrylic and methacrylic monomers and are usually considered relatively inert. The most common method of manufacture of acrylic resin involves the addition polymerization of the monomer in a solvent using a free radical initiator at elevated temperature. There are three steps in addition polymerization that involves initiation, propagation and termination or disproportionation. Acrylic resins are more resistant to ultra-violet (UV) light. But its corrosion protection property is poor because it is not a heavy-duty coating. It has only decorative applications. So it is widely used in topcoats. In recent years acrylic resins are also used as corrosion protective coatings by the method of cross-linking or blending with epoxy, alkyd, vinyl, silicone and other resins. The term alkyd was first used by Kienle to describe polyesters resulting from the reaction of polyhydric alcohols and polyfunctional acids, and modifying the same with drying oil. The acids mainly used are phthalic acid, isophthalic acid, maleic anhydride, fumaric acid etc., and the alcohols used are glycerol, trimethylolethane, trimethylolpropane and pentaerythritol etc. Alkyd resins can be prepared directly from fatty acids, which is more expensive. The natural source of preparation of alkyd resins can be vegetable oils, and these are naturally occurring triglycerides of fatty acids. Alkyd resins are formed by a condensation reaction with the elimination of water and then they are post emulsified. The greater the oil content of an alkyd resin, the greater is its flexibility. Alkyds have good adhesion and good compatibility with other resins; they are sometimes added to latex paints to improve adhesion. In emulsion form, alkyds on prolonged storage result in loss of drying power. 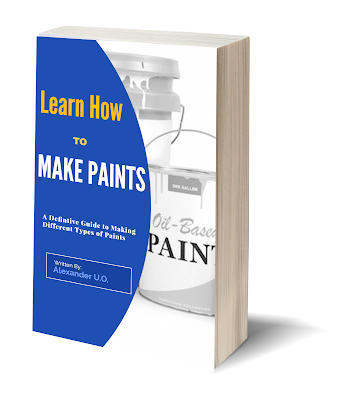 A Detailed Step by Step Guide for Paint Making. 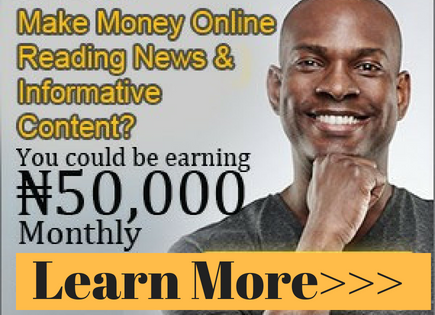 Get a copy today! resins. Rosin can be used as a modifier, which acts as a chain stopper that improves the drying properties, gloss, adherence and exterior durability. Phenolic resin addition improves water, grease, acid, alkali resistance besides gloss, hardness etc. The modification of castor oil to thermosetting coatings has been described with the modification of hydroxyl functionalities of castor oil into β-keto ester by reaction with butyl acetate. The resulting acetoacetate ester can be used to formulate thermosetting coating compositions, with excellent solvent resistance. Caston in Switzerland first discovered epoxy resins around 1938. Epoxy resins are used in different applications, such as coatings, adhesives, laminates, castings, encapsulations and mouldings. Further, these are tough, hard, thermosetting solids, which quickly cure at room temperature or elevated temperature. They are available in a variety of forms which vary from low viscosity clear liquids to highly filled viscous pastes and further to free-flowing moulding powders of varied molecular weights. Bisphenol A (BPA) and are available in a range of molecular weights. The other variety of epoxy resins are synthesized from the phenol, naphthol etc., instead of Bisphenol A. Liquid epoxy resins are used mainly in room temperature curing applications, with an amine as curing agents. The higher molecular weight solid epoxy resins are normally applied in bake applications. Epoxy resins are mainly used in paint industries to produce different types of surface coatings. Epoxy resins are convenient to use in the solvent-free liquid form, which sets into a hard infusible solid after the addition of curing agent. They are used extensively for potting, embedding or encapsulation of electrical components, for cable joining, for the manufacture of telecom terminal pillars. Liquid epoxy resin has a wide range of application in engineering industries. The oxirane or epoxy ring can be homopolymerized or reacted with active hydrogen-containing compounds such as amines, amides, phenols, carboxylic acids, anhydrides etc., or cured with polyamides. The curing agents greatly increase the solubility or dispersibility in water. Water-soluble or water-dispersible hydroxylated polyamines, which optionally may contain amide groups, may serve as curing agent. Generally, the curing procedure is supposed to have a pH higher than 9. Hydroxy polyamines can also be used, as curing agent but care must be taken to avoid reducing the pH below 9.0. Carboxylic acids are effective crosslinkers for baked epoxy coatings. The reaction of a carboxylic acid to epoxy group yields a hydroxyl ester. Without a catalyst, relatively high cure temperatures (≈150°C for 30min) are required. Triphenylphosphine is used as an effective catalyst for carboxylic acid to cross-link with epoxides at 25ºC. Furthermore, carboxylic acid functional acrylics can be cross-linked with bisphenol A epoxy resin. This is used as an excellent exterior durable coating. Cyclic anhydrides such as 1,2,4,5-benzene tetracarboxylic acid dianhydride (pyromellitic Dianhydride) can be used as the cross-linking agent for epoxy resins. Further blending with maleic anhydride is found to improve the heat resistance. Mercaptans react with epoxies to yield sulfides. The reaction is strongly catalyzed by tertiary amines, which convert the mercaptan into the more highly reactive mercaptide anion RS¯ The reactivity of the mercaptide anion is sufficient that ambient temperature cure two package coatings can be prepared. Low molecular weight polysulphide rubbers are mercaptan-terminated polymers in coatings, that have been used to cross-link with Bisphenol A. These epoxy resin in primers are used for aircraft. The unpleasant odour of mercaptans is a drawback for other applications. hardness with flexibility, high gloss and excellent resistance to abrasion and chemicals. The development of a yellow coloration is one of the main problems associated with polyurethane coatings and in general, this color is more pronounced with one pack than with two-pack systems. Color development can be minimized by the use of N-substituted polyurethanes since the labile hydrogen of the carbonate group favors dissociation. The use of aliphatic or other isocyanates in which the –NCO group is not adjacent to an aromatic ring also reduces color development. Stabilizers such as auto oxidants and ultraviolet screening agents assist in the prevention of color development. Polyesters are the reaction product of polybasic acid and polyalcohols. For curing, they require cross-linking agents such as amino resins and heat. Introducing carboxyl group into the molecule and then neutralizing the carboxyl group with amine or ammonia can help to prepare water-soluble polyester resins. The use of synthetic resins that can be diluted with water is of considerable importance in the lacquer industries because it results not only in the reduction of the solvent requirement but also helps to overcome the pollution problems. chain, not in the side chain. A more clear-cut means of distinguishing this type of polymer systems from an alkyd is given by the effect of oxygen on the film-forming reactions. The drying or curing of an alkyd resin is promoted by oxygen, while it is inhibitive in unsaturated polyester. The reaction of the polyester with an excess of a diisocyanate yields polymers with free isocyanate groups, which are claimed to improve the adhesion to some substrates. The hydroxyl number of the polyester may be reduced by reaction with diketene to give acetoacetic ester type end groups with improved properties. Urea-formaldehyde and melamine-formaldehyde belong to this class of resins. Methylated and ethylated melamine formaldehyde/Urea-formaldehyde resins are water-soluble. These materials are applicable in wood coatings, plastic coatings and for metals. The amino resins are thermosetting materials that readily form hard, brittle, colourless, chemically resistant films on baking. Because of their brittleness and adhesion when used alone, they require proper plasticization for use in coatings. Urea-formaldehyde and melamine-formaldehyde resins are used as cross-linkers for hydroxyl-containing alkyd, polyester, epoxy and acrylic thermosetting coatings. These cross-linkers not only react with polyols but can also react with itself through self-condensation. Comparatively melamine – formaldehyde cross-linked coating systems have better water resistance and exterior durability. But in the case of humidity and chemical resistance, the urea-formaldehyde cross-linked system is better than melamine-formaldehyde due to their higher self-condensation ability. The amino resins are usually accomplished by combining them with short or medium-oil alkyds. The amino-alkyd blend followed by baking provides a gloss and durability of the alkyd are complemented with the hardness, colour retention, chemical resistance and increased flexibility of the amino component. The bitumens are basically divided into petroleum and natural asphalt and coal tars. Asphalts are used in industrial coatings and coal tar pitches are employed in wet and damp conditions. Bitumens are available in emulsion form. Such coatings provide good protection against industrial and corrosive environments at low cost. Bitumens emulsions are available which possess many of the desirable properties of both bitumens and water-based coatings. Vinyl resins are derived from monomers containing carbon-carbon double bonds which polymers are commonly referred to “vinyl resins”. Vinyl chloride is a cheap monomer whose polymers, and copolymers are widely used as plastics as well as surface coatings. Thus vinyl resins include chiefly the polymers and copolyvinyl acetate. The properties of these polymers include good colour, flexibility, chemical resistance and freedom from taste. Hence they are used in coatings designed for beer, food cans, paper, metal foil and wire coatings. Vinyl resins are thermoplastic, addition polymers that may be prepared by solution, suspension, emulsion or bulk polymerization methods for surface coating with the bulk process is rarely used. Fluorocarbon resins are substituted ethylene polymers in which the hydrogen atoms have been replaced with fluorine atoms. These polymers are highly inert and possess good strength, heat resistance and flexibility over a wide temperature range. Polytetrafluoroethylene and polychlorotrifluoroethylene are the most important resins of this type. Phenolic resins were the first truly synthetic resins to become commercially available. Baekeland introduced them to the coatings field by about 1909. Their characteristic fast dry, moisture resistance, toughness, durability and their reasonable cost have led to their wide use in coatings. The resins are the reaction products of polybasic acids and polyamines. These are used as coatings as such or in combination with epoxy resins. Polyamides have good strength, toughness and abrasion resistance. Polymerization of styrene monomer is effected by bulk, solution, suspension or emulsion methods in the presence of peroxides and heat. Polystyrene is used in the moulding of plastics. Styrene-butadiene lattices are produced by emulsion polymerization and have good water resistance. Styrene monomer is also copolymerized with drying oils and alkyds. It is defined as resin resulting from the action of chlorine on natural or synthetic rubber. Chlorinated rubber resins are obtained by the chlorination of natural rubber (natural rubber is a high polymer of isoprene with a molecular weight of 1,4,000) and are soluble in aromatic solvents. The coating has a specific gravity of 1.64, which is almost twice of pure rubber. It is odourless, tasteless and nontoxic and will not support combustion or burn. Chlorinated rubber finds application in fire-retardant, traffic and concrete paints and finishes that must be resistant to acids, alkalis and other corrosive chemicals. Chlorinated rubber resin has good chemical and water resistance property. In chemically resistant formulations, they are plasticized with chlorinated paraffin wax. High build paints can be formulated from this type of resin. Chlorinated rubber has been employed in conjunction with rosin as a basis for vehicles in antifouling paint for ship bottoms. Maximum resistance is given by the pigments like oxides of Ti, Cr and Fe, which are inert towards acids and alkalis with chlorinated rubber resin. The non-metallic element silicon is found abundantly in nature as the oxide, silica, e.g. in sand and quartz. 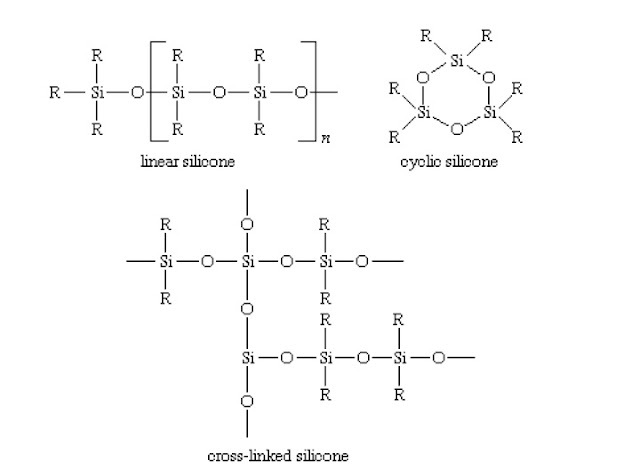 The silicone resins are made from intermediates known as silanes. The direct reaction of organic halides such as methyl, phenyl chlorides and chlorobenzene with silicone in the presence of heat and catalyst produces “organochlorosilanes” such as methyl trichlorosilane (CH3SiCl3) and phenyl trichlorosilane (C6H5.SiCl3). The organcohlorosilanes hydrolyzed to hydroxyl bearing monomers known as silanols. Silanols react with one another to form larger molecules with the elimination of water. Silanols containing one hydroxyl group can form dimers and two hydroxyl groups containing silanols can form linear polymers, which are known as silicones. Low molecular weight linear polymers are liquids called silicone oils. Higher molecular weight linear polymers are the silicone rubbers and greases. continuous use at temperatures of 360-540°C. 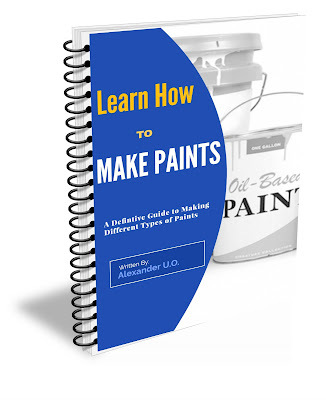 To get the details step by step guides to make different types of paints, you can get the Paint Making Guide. With this guide, you will be able to make different types of paints such as emulsion, rough and smooth textcoat paint and nylon or satin paints. 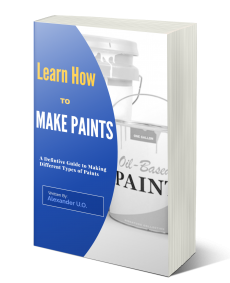 It gives the detailed step by step guide, the different chemicals and their functions, everything you need to know about paint making. 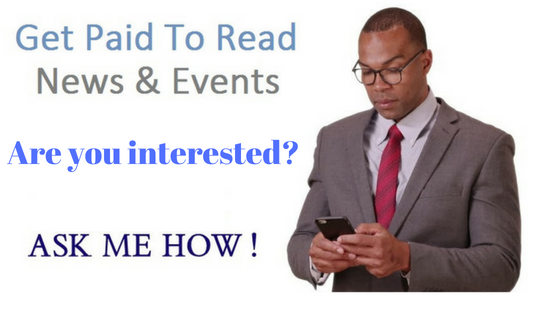 Once I receive your message, I will send the manual to your email address provided. To get instant access to download the ebook, use the payment button below and pay with your ATM card.